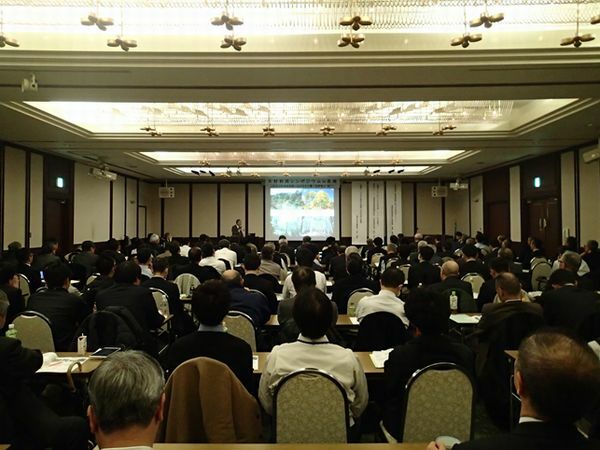 The 1st Seminar on the Dissemination of Japanese Technical Standards Overseas: Focus on Ports was hosted at the Japan Society of Civil Engineers (JSCE) auditorium on November 7, 2018, with about 100 people in attendance. 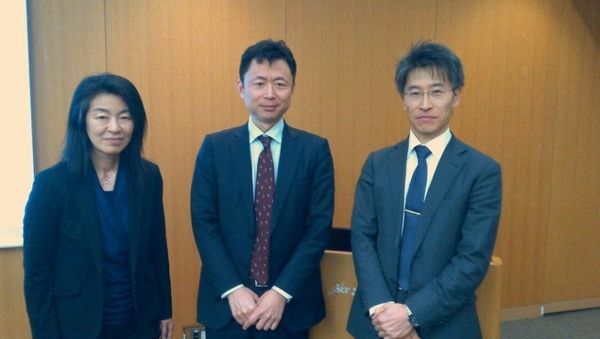 The seminar was jointly hosted with the Japan Overseas Ports Cooperation Association (JOPCA) and was supported by the Ministry of Land, Infrastructure, Transport and Tourism (MLIT). 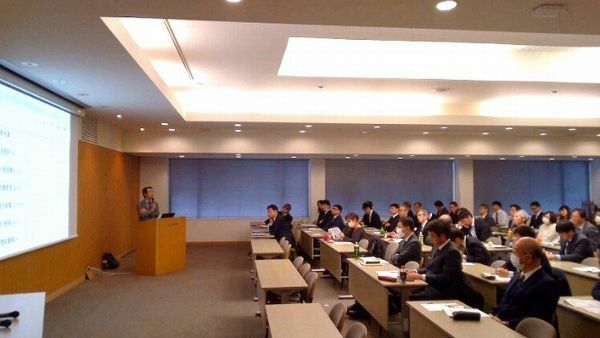 After an introduction delivered by Yutaka Sunohara, a vice president at JSCE, Takao Kakei, International Activities Center Director explained that this was their first time hosting a seminar with the theme of dissemination of Japanese technical standards overseas. He said that through this seminar, an interdisciplinary information-sharing platform would be created, and he wanted to organize shared problems and discussion points based on this information in addition to providing feedback on individual fields. Next, Masafumi Miyata, director of the Port Facilities Division, Port and Harbor Department, National Institute for Land and Infrastructure Management, MLIT, reported on a case study regarding the promotion of support for creating technical standards for ports that was proceeding in Vietnam, under the title, “Toward Internationalization of Technical Standards for Port Facilities and Their Interpretation: Current Status, Issues, and the Future.” He also gave a presentation regarding the creation of an English-language edition, currently in progress, of Technical Standards for Port Facilities and Their Interpretation, which was revised this year. 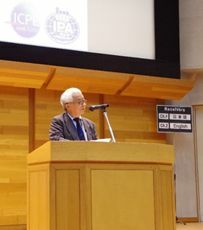 Osamu Kusakabe, president of the International Press-in Association, reported on case studies involving the deep layer mixing method and the jacked pile method, which are a soil improvement technologies developed in Japan, under the title “Case Studies of International Deployment of Technologies Developed in Japan.” He emphasized the importance of sharing information by having industry, government, and academia work together to create standards, build up a track record for construction methods, create textbooks and handbooks in English, and conduct overseas seminars, in order to facilitate the international adoption of technology developed in Japan. 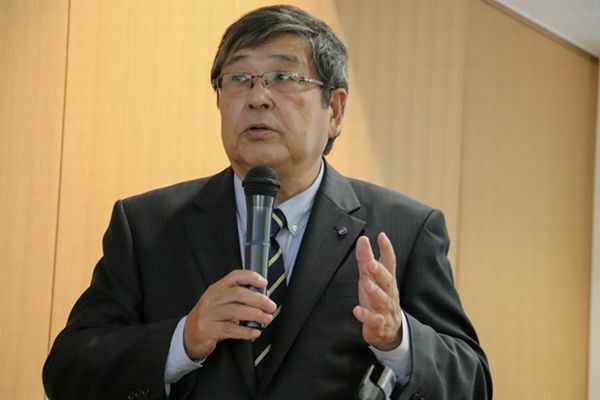 Lastly, Heizo Kito, president of the Japan Transport Cooperation Association (JTCA) and former director of JOPCA, gave a concluding speech in which he expressed his desire to promote the mutual exchange of knowledge between members by hosting similar seminars in the future. The first “International Conference on Press-in Engineering (ICPE) 2018, Kochi” was held by the ICPE Organizing Committee*1 / International Press-in Association (IPA)*2 at Kochi University of Technology in Kami city, Kochi Prefecture, Japan on 19th and 20th September, 2018. The IPA is an international academic organization founded in 2007 and tasked with the challenging aims of explication and expansion of the Press-in technology. IPA marked the eleventh anniversary this year and is kept growing. “Press-in retaining structures: a handbook (First edition 2016)” was published and the international seminars have been held regularly to apply this unique technique to society. After more than one decade of activites, the ICPE Organizing Committee was set up, and the first international conference was held in the city of Kochi, Japan, since Kochi is the birthplace of a piling machine called “Silent Piler”, which plays a key role in Press-in Engineering. At the conference, there were 418 participants including researchers, engineers, practitioners and students from 17 countries. The three key words of the ICPE2018 as an international conference are “disaster prevention”, “ i-Construction*3” and “regional revitalization”. As an aim of “regional revitalization”, the ICPE2018　disseminate the Press-in technology through the international conference held in Kochi, Japan where the Press-in technology was originated. As an aim of “disaster prevention”, the counter measures of Kochi Prefecture against tsunamis expected to occur as a result of future Tonankai earthquakes was the main topic of this conference. As an aim of “i-Construction”, it was recognized that the use of ICT or IOT in construction machines is vital to improve productivity and solve the issue of labour shortage. In support of these aims, 28 supporters including the Kochi Prefecture and the Japanese Society of Civil Engineers (JSCE), and the ICPE Organizing committee received four subsidies including the International Scientific Exchange Fund of JSCE. *3 A project promoted by the Japanese Ministry of Land, Infrastructure, Transport and Tourism to make the construction work more productive as well as appealing, mainly based on ICT (Information and Communication Technology). 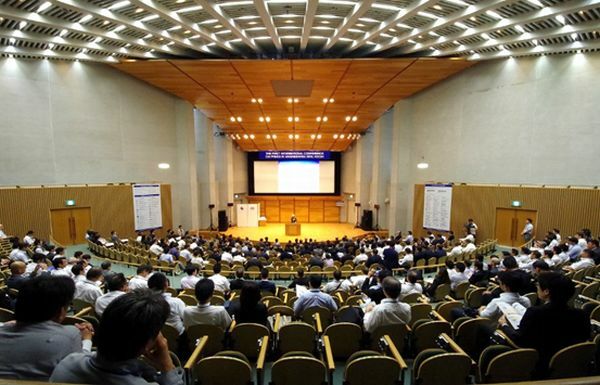 In the plenary sessions, two keynote lecturers were invited. Professor Fumihiko Imamura of Tohoku University, of the director of the International Research Institute of Disaster Science, who is a world-renowned expert on Tsunami disaster prevention, and Mr Kenjiro Shimada, who is active in the front line of Komatsu Ltd. which is a leading company developing ICT construction machinery. Also, a video message by Mr Akio Kitamura (Honorary president, IPA / President, GIKEN LTD.), who is an inventor of the Press-in technology, was shown. The message mentioned the background and the future prospects of the Press-in technology and machines contributing to society due to their multiplicity of broad versatility in construction. Furthermore, the state-of-the-art report of the collaboration between the Cambridge University and GIKEN LTD. was unveiled. 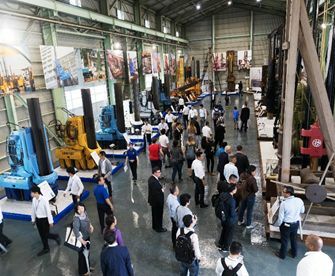 Across the sixteen general sessions, including two organized sessions regarding “i-Construction” and “Dialogue among operators and researchers”, in total 88 presentations on the research and project reports were made. It seems that many participants listened attentively to lectures in the plenary session whilst proactive discussions and useful opinion exchange occurred in the general sessions, which demonstrated the high level of academic interest in the Press-in technology. In addition to the international conference, a technical visit was conducted. A site tour of the Kochi coast protection system of which the Press-in technology was adopted, keeping the function of both the existing levees and arterial roads, was arranged, as was a tour of the facilities of the Kochi head office, GIKEN LTD. This tour including the tsunami simulator, the underground mechanical car park “ECO-park” and the museum of pile drivers. Particularly during the site tour, some participants exclaimed in astonishment “I can’t believe that this levee was reinforced without the suspension of traffic. 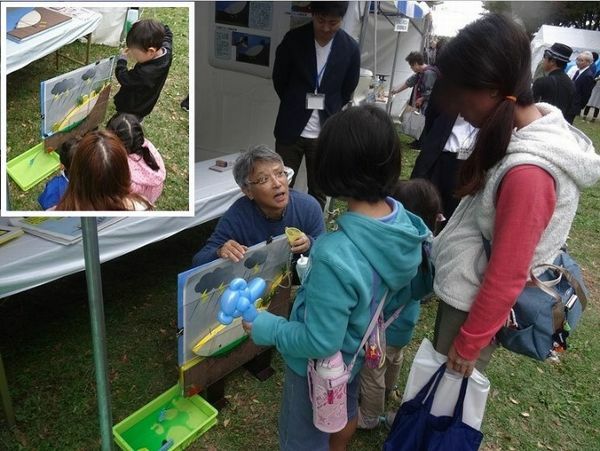 Additionally, the scenery of beautiful coast was kept after the construction!” Thus, this technical visit was a good opportunity for the participants to grasp the practicability of the Press-in technology. The Committee of Geotechnical Engineering, founded in 1976, is one of bodies belonging to Research and Studies III Category of JSCE. Under direction of the present chair Prof. T. Katsumi (Kyoto University), vice chair Prof. R. Kuwano (Tokyo University) and chief secretary Dr. H. Ishii (TAISEI Corporation, the writer of this report), see photo. 1, the committee aims to: explore trends in geotechnical practice and research, sponsor geotechnical engineering seminar, promote and estimate relating activities including sub-committees.’ In this small report, only a few of our activities are introduced. The geotechnical engineering seminar has been annually held to provide lectures and to exchange opinions relating to timely geotechnical topics. 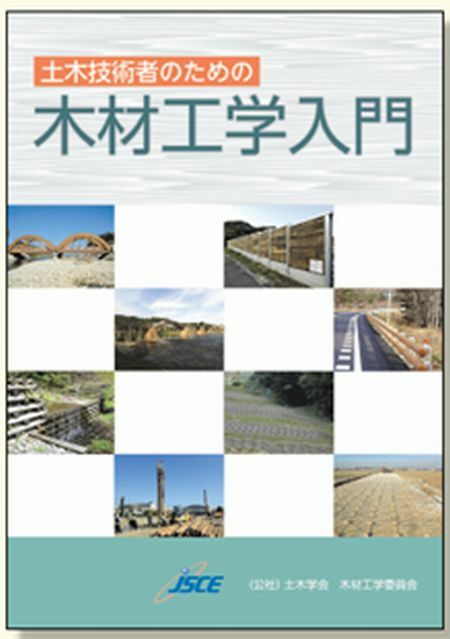 The recent ones include “geotechnical disaster learnt from Kumamoto Earthquake (2016)” and “volcanic eruption and landslides disaster (2015).” Another topic “to solve real estate disputes relating to geotechnical issues (2013 and 2014)” was originally organized by us, and has been succeeded by the Japanese Association for Geotechnical Evaluation that now holds ones under the name of “geotechnical evaluation seminar” on annual basis. We have held the recent seminar on January 9th, 2019 with the topic of “utilization of waste soils and handling of soil pollutions caused by naturally occurring heavy metals, continued”, having 71 JSCE members and non-members as attendance (see Photo 2). For the next seminar, we are going to choose a suitable topics and contents. We look forward to seeing you on the next seminar. 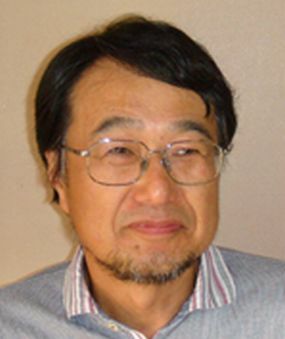 Now, the following three sub-committees are acting on issues relating to geotechnical engineering: Volcanic Engineering Research Committee chaired by Dr. H. Imai from Suncoh Corporation, Slope Engineering Research Committee chaired by Prof. M. Suzuki from Yamaguchi University and River Dike Research Committee chaired by Prof. K. Maeda from Nagoya Institute of Technology. The committees are dealing with pure civil engineering issues with support of committee members from various organization and another committees under different JSCE’s bodies. Some committees also expand their fields to social contribution by educating and enlightening citizen on natural disaster (see Photo 3). We are happy if you would participate some symposiums and events prepared by the committees and learn more about their activities. For activities of Committee of Geotechnical Engineering, we place importance on a close cooperation with the Japanese Geotechnical Society (JGS) which shear common technical interests in wider range. Field surveys of natural disasters are typical activities that we put efforts to maximize the effects of corroboration with JGS by injecting JSCE’s unique ideas and approachs. We would like to thank JSCE members as well as non-members for further support on Committee of Geotechnical Engineering. 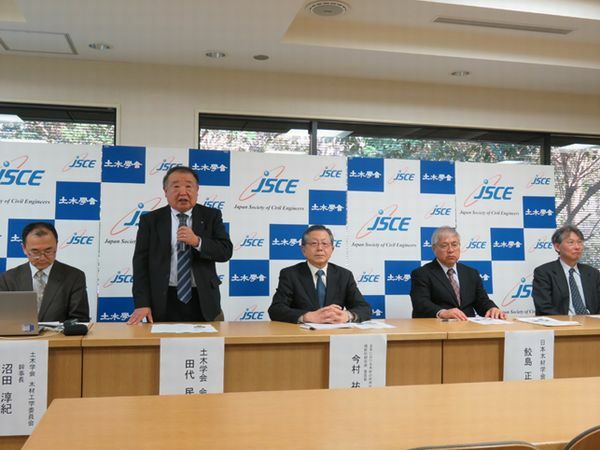 The Wood Engineering Committee, launched in June 2012, is the newest committee in the Research Department of the Japan Society of Civil Engineers (JSCE). Because the Japanese word for civil engineering is written with two characters meaning “ground” and “trees,” many people think that we’ve had a wood-related committee for a long time, but in fact, this is the first committee to be started that deals with wood, and there was no such committee previously. This committee conducts activities for the purposes of expanding the utilization of forest resources and the use of wood in the civil engineering field, of developing new civil engineering structures made with wood, and investigating and researching problems, including global environmental problems. 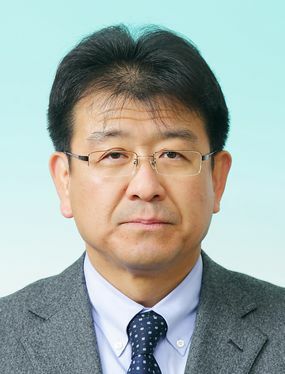 The biggest difference between this committee and others is that it operates as an “interdisciplinary research society concerned with broadening the usage of wood in civil engineering” and is comprised of the three scientific societies of the Japanese Forest Society, the Japan Wood Research Society and our committee as the organizer, among which good cooperation are maintained. Another distinctive aspect of our society is that in addition to subcommittee activities which handle CO₂ budgets, wooden bridges, forestry conservation structures, underground usage, and wood materials, we collaborate with local research societies involved with wood usage. Our main yearly activities are, in addition to holding regular committee meetings, hosting the Wood Utilization Research Conference (August), at which researchers present and discuss research results, and the Wood Utilization Symposium (March), which provides reports and the latest information from the committee’s results, as well as tours and workshops hosted by our subcommittees, our regional Wood Utilization Symposiums hosted by a rotating list of regional research societies, and more. As an interdisciplinary research society consisting of three member societies, our objective is to expand the volume of wood used in civil engineering by 4 million m3 per year, to gain the approval of numerous academic societies, and to make policy recommendations to the Ministry of Land, Infrastructure, Transport and Tourism, the Forestry Agency, and other government agencies in order to achieve our objectives. Very few textbooks on civil engineering materials have sections dedicated to wood, and as a result, wood has become an unfamiliar material in civil engineering technology. Accordingly, we published a compendium of wood characteristics and utilization methods titled The Beginner’s Guide to Wood Engineering for Civil Engineers in March 2017. Over 900 copies had been sold by December 2018, and the book has been helpful to civil engineers when they use wood. “My Construction Industry Life is still going on in a Foreign Country"
3:42 am, July 28th, 1976, the Great Tangshan Earthquake was a natural disaster resulting from a magnitude 7.5 that hit the region around Tangshan, Hebei, China. Tangshan almost annihilated, and 0.25 million people died in the disaster by the Chinese government's announcement of the time. (Maybe, that’s a lot more than that.) It was the largest earthquake disaster in the 20 century. It was an incident when I was not born, but I still remember clearly that I had a considerable impact when I saw photographs and press at the time in the college course. The seismic resistance of the building was picked up as one of the reasons why did the damage spread that extent? That is the first time I feel the serious responsibility of the work in the construction, and also the first time I was enthusiasm about the work in this field. One of the college teachers had the experience of studying abroad experience in Japan, "Japan is the best select if you want to study seismic." she said. So I came to Japan in the 2007, and start my study in Hiroshima University. After obtaining the master's degree and doctor's degree at Hiroshima University, I continued my study in Hiroshima University as a Fellow Researcher. And three years ago, it was time to think about my future. I was very hesitant about continuing my research, or working as contractors. Girls of the physical science increase in now, and career woman is not so rare in the construction industry. However, there was extremely little number of woman researchers in both China and Japan because of prejudice against women at that time. As a result of various investigations of my future, I joined Kiso-Jiban Consultants Co.,Ltd. in 2017. My research is about ground improvement method in the Hiroshima University. Meanwhile, 14:28, May 12th, 2008, an earthquake of magnitude 8.0 was occurred in Wenchuan of Sichuan Province. That is the second year in my Master's course. 70,000 people died, although this disaster occurred in daylight. Since the Tangshan earthquake, people are start concerned about the earthquake disaster, but for the reinforcement technology of existing structures, it was emphasized after the Sichuan earthquake. At that time, I felt that my research surely will be useful for people's lives. One of my researchers is how to improve the properties of soils like increase its toughness. I focus on bamboo as fiber material, it is cheap and its excellent toughness is very useful, it will earn times save lives when disaster occurs. At the time, one of the junior in the same group who helped my experiment, is now a teacher in China Guangzhou University. We decided to continue this research because he said to me that this research will absolutely useful someday, and I believe that day will come soon. Consultant, is someone who can proposed a plan with the demands of the ordered, and solving the problem. In addition to expert knowledge, explanation ability is extremely important. I was put into the analysis department at where I can make use of my knowledge and experience. I was only studied about the theories related to my own research like the elastic-plastic analysis and consolidation analysis theories of ground during my college life. But now, I am absorbing new knowledge everyday like neighboring construction, underground water, seismic, slope, and so on. I got new knowledge every time when I hit a new obstacle then solve it, and I can feel the change. In recent years, heavy rain disaster occurred in succession in Hiroshima. I’ve become extremely interested in the debris flow, not only to participate in study sessions of discontinuity analysis, but also began study of fluid simulation. It’s all down to my supervisor that I can create my own program, and I’d like to make the most of what I’ve learned to the study of discontinuity analysis. In the past, the relationship is bad between Japan and China in long time. Some Chinese still holding a bad image in Japan now. However, everyone around me is very kind and friendly. 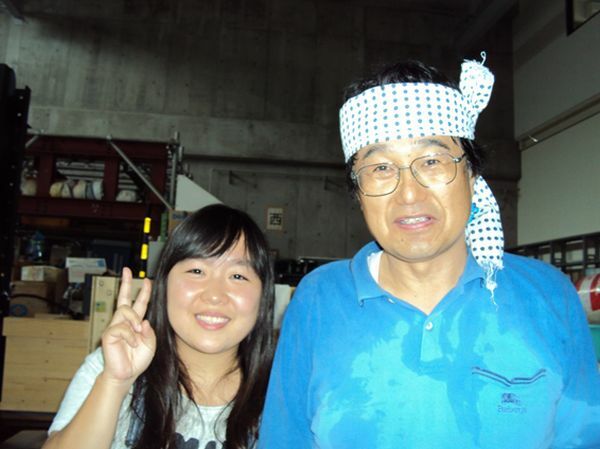 I am so glad that I met my supervisor Prof. Yamamoto and my colleagues. I was fortunate that I met such people in a foreign land and to work together, and I am truly blessed with opportunities. I was passed the primary test of Professional Engineers in October 2017, and I have been preparing for the current secondary test now. Although it is the second year I Join this team, has been asked to join in various cases that was a good chance to improve myself. Accompanied to the meeting with the orders is very useful, I can fell a strong sense of responsibility to the Japanese in work, it precisely, one reason for the brand "Japan" named to the world. I would like to do my best to build-out the exchanges and friendly relations between Japan and China through working, and to peace and both countries of prosperity. Nearly a decade ago, Huang He entered Hiroshima University as a research student and desired to go on to master’s and doctor’s courses. However I was still not certain whether she can success to get degrees or not, because seemed very shy and uncertain. Despite my concerns, I was surprised and very glad to her ability for numerical analysis based on fundamental skill of mathematics. She became good programmer and could resolve the complicated problems. She improves her skill in numerical analysis after obtain PhD and through three years as a special researcher. Her skill and knowledge are applied in the practice study now. 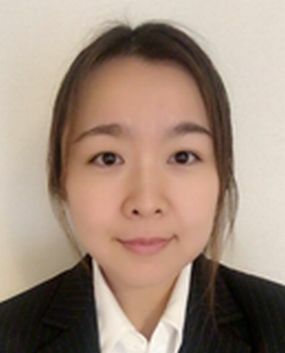 I hope she becomes the top-level engineer in the field of numerical analysis of the ground and the foundation engineering by further her efforts.